Producers operating under the 1000 bird exemption must use a modified safe handling instructions label that denotes processed under Exempt P.L. 90-492. 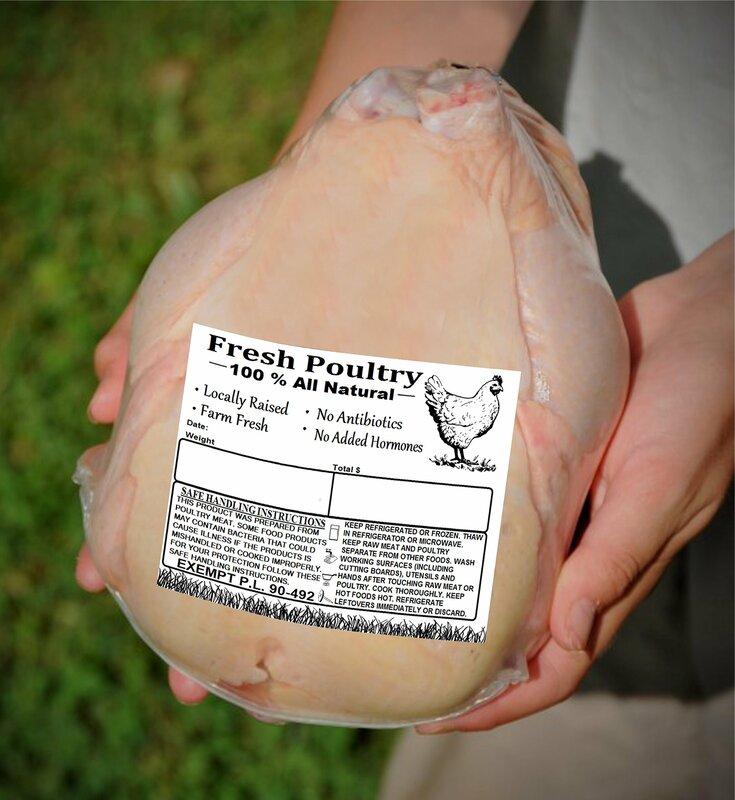 Our freezer labels are perfect for the backyard poultry / small producer / grower. Our permanent labels are tear resistant. These labels are resistant against smudging and extremely durable. These labels work great with poultry shrink bags. 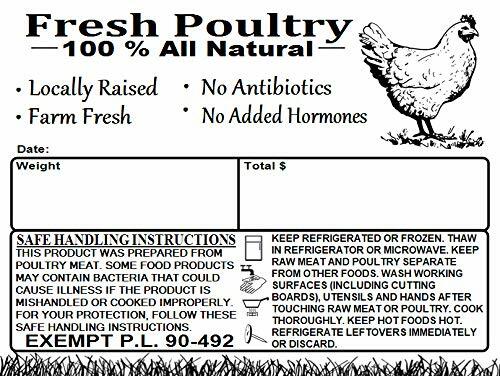 Also with the food safety warning and attractive poultry graphics these stickers will help your poultry stand out at any farmers market. Note that the food safety label does not say that the meat was inspected. For the best results dry all surfaces before applying our labels. If you are someone who sells poultry in your local area these labels are a great option for you.